A man left behind his wife and two daughters this past summer when he was fatally electrocuted by a downed power line in Tampa. He was riding his bike along a popular recreational trail when he made contact with a downed, live powerline. The man’s widow filed a wrongful death lawsuit against the company, Tampa Electric Company, for its negligence that lead to her husband’s death, according to the Tampa Bay Times, alleging that the company knew or should have known about the downed powerline. Electrocution can happen virtually anywhere: unsafe home products, toys, power lines, damaged electrical utilities, and unsafe premises all pose a potentially lethal risk. Electric shock can cause serious burns, cardiac and neurologic issues, permanent disfigurement, and death. If you have been injured by electrical shock, or a loved one lost their life due to electrocution, you may be entitled to pursue a claim for compensation. If you have been injured by a downed power line, electrical outlet, irresponsibly placed extension cord, unsafe child’s toy, poorly manufactured home consumer product, or other type of electrical shock, we strongly encourage you to seek experienced counsel. If a loved one lost his/her life because of another’s negligence, you may be entitled to monetary damages under Florida’s Wrongful Death Act. 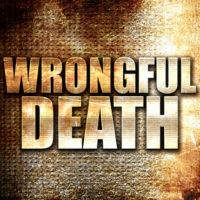 Call the West Palm Beach wrongful death attorneys of Celeste Law Firm today at 561-478-2447 for help with your case.